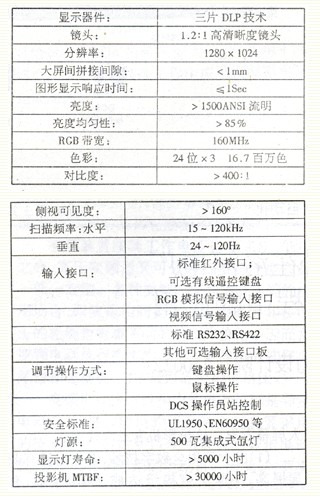 î€„(1) Due to the adoption of all-digital technology, the image quality is significantly improved, the image grayscale reaches 2561024 levels, there are 2563 to 10243 colors, the color reproduction performance is good, and the image quality is stable. The DLP device has no image retention and performance degradation. Defects. î€„ (2) Due to the principle of light reflection imaging and DMD devices with high-density pixels, the light transmission rate (the ratio of the effective area of â€‹â€‹light passing through the total area) is more than 90%, which greatly improves the utilization efficiency of light while the contrast and Brightness uniformity is better. î€„ (3) DMD can produce seamless high-quality images. As a DLP core technology, the DMD micro device is a highly integrated semiconductor optical switching device. It utilizes the principle of light reflection imaging. The driving circuit of each pixel is on the back side, and it does not block the light path. The distance between the pixels is extremely small, only 1 Î¼m, and the area of â€‹â€‹a single pixel is 16Ã—16 Î¼m. Therefore, the pixel density is high, and the reproduced picture has no sense of pixels. Real-time refreshing of the whole plant, clearly showing the entire plant. î€„ Large screens can share information between operators and values â€‹â€‹in the control room. The factory-wide display on the big screen is easy to modify, and the mosaic-style overview is usually fixed. The large-screen display can be used in a variety of information media, and provides a dynamic, integrated information that creates an "office" working atmosphere in the unit control room. 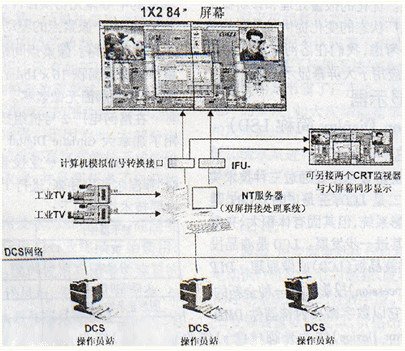 The large-screen display incorporates industrial TV into the display range, and can completely eliminate the BTG disk and appropriately reduce the number of CRTs of the DCS. The large-screen display can be used as a station on the DCS network and share the database and screens with the DCS operator station, with the same monitoring and operating functions as the operator station. Each large-screen display should be able to display process screens, control system information, etc. at the same time as at least four windows. Two large-screen displays can also be combined into a single window to display process screens and control system information. V. System Description î€„ Large screen projection system As the display terminal of the DCS system operator station, it has the same monitoring function as the operator station display. 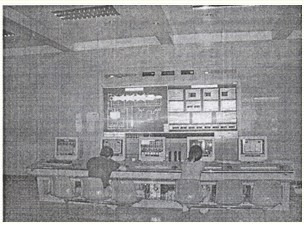 The content displayed on the large screen is realized through the DCS system configuration, including the sound and light alarms and light-cards that need to be implemented. High-resolution computer graphics, text messages and other signals are input to the analog signal conversion interface IFU-103 through the high-quality signal transmission cable. One output of the IFU-103 is connected to the projector, and the other output is returned to the monitor of the workstation to achieve simultaneous display. The projector projects images onto the screen separately, producing high-brightness, high-definition images. In this project, a dual screen splicing control system is an operator station on the DCS network. There are two display outputs on the splicing system. Two computer analog signal conversion interfaces IFU-103 are connected to the two projectors respectively. Machine, the industrial TV signal is connected to the video input of the splicing control system, and is digitally processed by the host and displayed on the large screen in the form of a computer application window. By arranging the MOVER control program installed on the control system, the arrangement and display position of the window can be defined. The R&SÂ®DLV1280DX projector reflects high brightness, high resolution and high reliability from the scene so far. It is suitable for continuous operation in the monitoring command center 24 hours a day, 7 days a week, and brings great convenience to the operation and debugging personnel. The application of large screen display in the technical upgrading project of Unit 2 of Luohe Power Plant was successful.